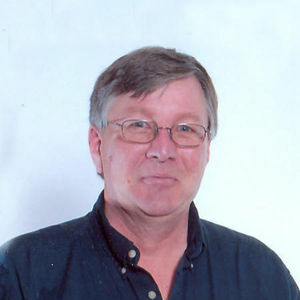 Jeff Anderson, 55, Mooreton, ND passed away at his residence on Monday, March 18, 2013. Funeral services will be on Friday, March 22, at 11:00 AM at Mooreton Lutheran Church, Mooreton, ND with Rev. Gordon Lee officiating. Visitation will be on Thursday from 4 PM to 6 PM with a prayer service at 6 PM at Mooreton Lutheran Church. There will also be visitation one hour prior to the service at the church. Interment will be later in the spring at Rutland Cemetery, Rutland, ND. Arrangements are entrusted to Vertin-Munson Funeral Home, Wahpeton, ND. Jeff was born on March 13, 1958 in Williston, ND to Dale and Marjorie (Nelson) Anderson. He grew up in the Ray, ND area and graduated from Minot High School. After high school Jeff drove truck for his father. In his early twenties he started his career in the oil drilling industry for Cardinal Drilling. On July 6, 1991 Jeff was united in marriage to Darla Huckell in Williston. At that time he also began working for Oilind Safety. That position took them to Baton Rouge, LA in 1999 and then they moved to Houston, TX until they moved back to Mooreton, ND to be near family in August of 2009. Jeff was a friendly, outgoing person who could strike up a conversation with anyone. He enjoyed camping and was a die hard fisherman and hunter. He also liked working on old tractors, collecting coins, and watching football especially the San Francisco 49ers. Jeff is survived by his wife, Darla; his mother, Marge Anderson, Minot, ND; his father, Dale (Pat) Anderson, Minot; his brothers, Jim (Beth), Silverdale, WA, Jack (Karen), Burlington, ND, Jerry, Bellingham, WA, Jay, Burlington, ND, Jody (Pam), Minot; his sisters, Jan (Dave) Lishman, Texarkana, AR, Julie (Scott) Reinicke, Burlington; his step-sister Rita (Gilbert) Christianson, Glenburn, ND; his father and mother-in-law, Jim and Darlene Huckell, Havana, ND; his brother-in-law, Bill (Denise) Huckell, Havana; his sister-in-law, Nancy (Virgil) Ceroll, Sisseton, SD; and many nieces and nephews. He was preceded by his grandparents and his step-father, Richard Anderson. Jeff was a friend of the family back in Minot. Our thoughts and prayers are with all of you. God bless! Jeff was a really fair man he found the good side of anyone. He was very caring and compassionate.Jeff hired students from the local schools with special needs to work at Oilind Safety where other wouldnt give them a chance. Jeff will be greatly missed. To Darla Anderson and the Anderson family, I and wife Tracy would like to express our deepest sympathy. I often reminisce about the good times we had together with our oilind safety family. Jeff will be greatly missed. We pray and take great comfort knowing God will strengthen and comfort you at this time. Jeff taught me a lot in the 6 years that I knew him. He was a great man and an even better "teacher". Darla, my thoughts & prayers are with you. May God bless you all! My condolences to Darla and the rest of the family. Jeff was great to work with, always did his best to do a great job. His pride in his work showed. We lost a very good man. I seen him at his best, a one man crew, not too many could keep up. I'll miss him. Jeff was a very nice man who saw good and humor in just about everything. He will be missed by all that were fortunate to have know him. Sorry about your loss, Jeff was an awesome man. My condolences to the family.